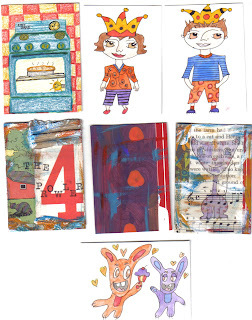 Another set of 7 ATCs for my own personal challenge. 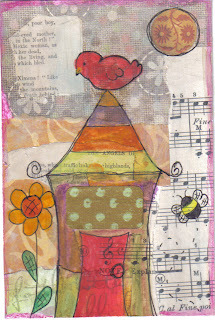 I have come to the decision that I will finish doing an ATC-A-Day for 2008. 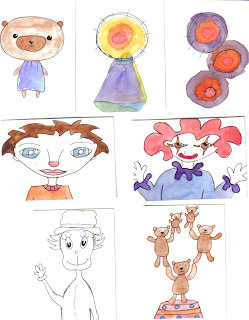 The month of March will be the last month that I will post ATCs for each day. 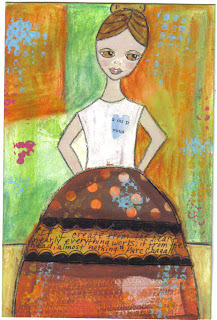 I will still make ATCs for 2008, but will only be making one a week from this point on. 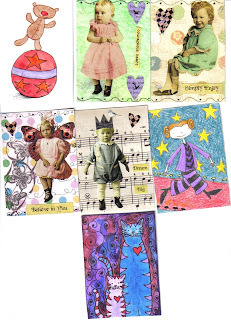 So I will be posting monthly the 4-5 ATCs I make for that month, depending on how many weeks there are in the month. Family life has gotten busy and it does come first, but I will still be working on some art. 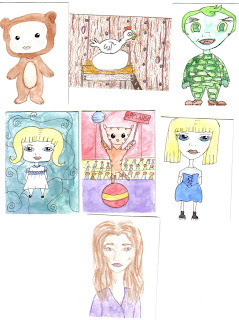 Here are my next set of 7 ATCs. Well I have finally been able to make some bigger collages. 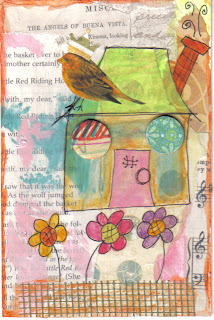 I wanted to work in a 4"x6" size. 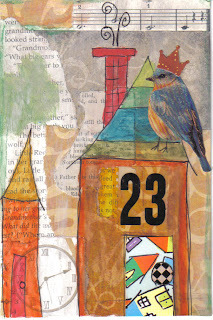 I think I am going to go bigger on the next collage pieces I make. I did have fun making these, but I did notice that I wasn't in my comfort zone while I made them. While I'm making collage pieces I want to be able to do it without feeling like I'm holding back...I did feel like I was holding back, and trying to be safe. 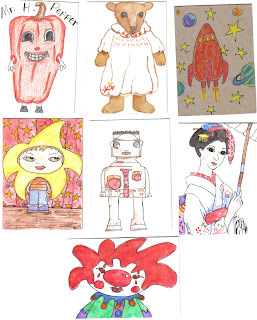 These collages are available for trade. 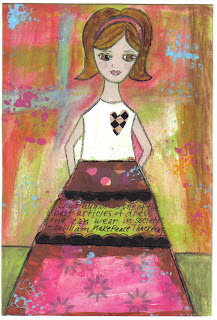 The Paper Doll Collages have quotes in their dress/skirt.